Call or text our staff at +46 70 728 6161 We always answer when we are not already busy with customers. Welcome to send us a booking request now! Private sightseeing tours in Stockhom archipelago. Taxi boats and water taxi in the capital of Scandinavia. We have experience in watertaxi and charter boats since 2001. With our taxi boats, you can go anywhere, anytime and any season. 365 days service. During winter we provide ice-going boats and hovercrafts.We have taxi boats and passenger boats for all needs. If our own taxi boats are already fully booked, we will ensure that you always get the best taxi boat at the best price through our selected partners. Call us anytime at +46 70 728 6161 We always answer when we are not already busy with customers. If you come to the answering machine, you are welcome to leave a voice message or send us a text message. We will reconnect as soon as possible! Watertaxi Stockholm has taxiboats, charter boats and passenger ships of the highest class. 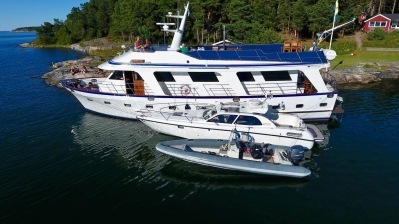 Since 2001, we have built up a network and thorough knowledge of boat charter and passenger boats in Stockholm. At Watertaxi Stockholm you are in safe hands! Welcome to make a booking request for boat transport by boat taxi for all sizes of groups. We offer suitable taxi boats in Stockholm. Make your request directly in the booking form. Our wide range of everything from fast taxiboats to exclusive yachts makes it possible to find a perfect taxiboat or charter boat for your specific event. Our taxiboats will take you to the outer part of Stockholm archipelago. We also help with entertainment and guidance on board. We would like to advise you about good restaurants and hotels in the archipelago and Mälaren. An archipelago experience in Stockholm archipelago and a nice adventure for all. We drive safely to the sea among copper and seal. Take a look at Stockholm's beautiful archipelago with its rugged rocks and its unspoilt nature along with our boat taxi. Visit some of the archipelago's most beautiful islands where you meet the islanders in the old fishing communities, combine the fresh air with a dining experience in one of the cozy and nice hooks in the archipelago. We tailor-made are boat trips according to your wishes, but also have affordable packages for both companies and private groups. 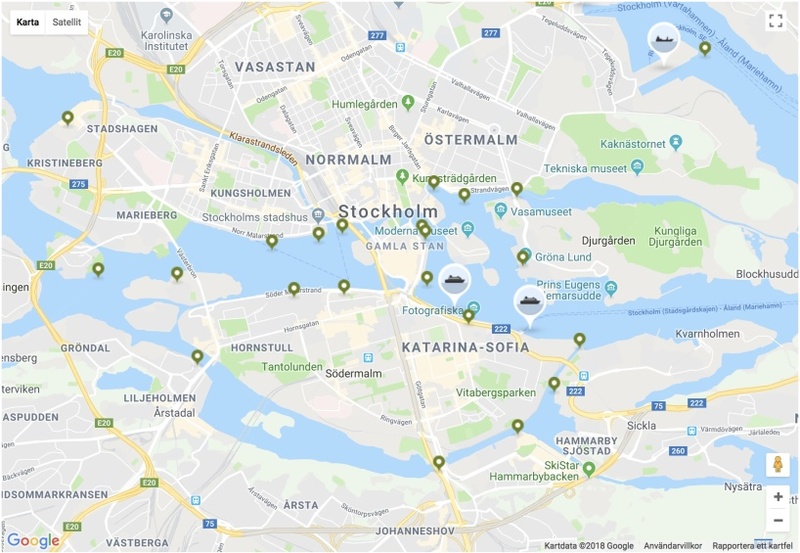 Map of boat stops in Stockholm for boat taxi, taxi and passenger boat traffic. Archipelago experiences at sea all year round. Taxiboats and private sightseeing. Modern safe taxi boats in Stockholm all year round. Sightseeing tours in Stockhom archipelago. Archipelago experiences at sea as full or half-day charters eg; Sailing safari with swimming in the outer archipelago. Lunch or dinner at some nice archipelago restaurant. Bathing trips are nice experiences in fine weather. Pack a picnic basket and let's take you to your own private island with a beach. Please dont hesitate to contact us with your needs or requests. Suggestions for destinations and pick-up points by taxi boats and passenger boats. Our taxi boats can pick you up almost everyehere in Stockholm. Some suggestions for taxi taxi arrivals in Stockholm are Nybroviken, Slussen (Räntmästartrappan) Skeppsbron (Gustaf III Statue) Grand Hotel (in front of National Museum) Gröna Lund, Hammarby Sjöstad (Lumabryggan) Nacka Strand. 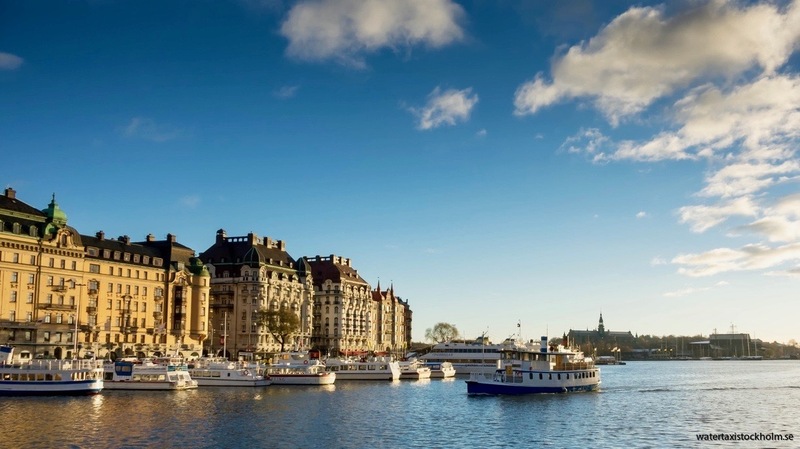 We also pick up with taxi boats throughout greater Stockholm and Lidingö, Djursholm, Stocksund, Näsby park, Nacka, Edsviken, Näsby park, Hägernäs beach, Vaxholm, Saltsjöboo, Kummelnäs, Duvnäs, Vaxholm, Svartsö, Möja, Sollenkroka, Stavnäs and Sandhamn. Or according to your wishes, wherever you require watertaxi in Stockholm and the archipelago. 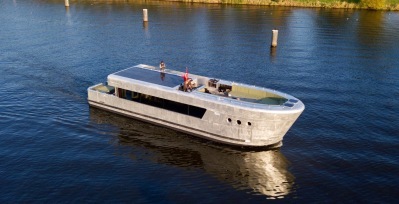 Getaway Machine is the latest addition to our company Water taxi stockholm. Welcome to board a taxiboat in Stockholm's wonderful archipelago! Stockholm Archipelago is an archipelago in eastern central Sweden, located along most of Stockholm's coastal shores. It is considered Sweden's largest archipelago and the second largest in the Baltic Sea, after the Archipelago Sea in southwestern Finland. Click here to see a map of Stockholm archipelago The area lacks formal boundaries, but is usually considered to extend from Arholma in the northern part of the county, about 150 kilometers (80 nautical miles) along the coasts of Upplands and Södermanland to Landsort in the south and in the west-east direction from Stockholm's mainland about 80 kilometers (43 nautical miles) east to the height of the Swedish Högarna. The archipelago outside of Stockholm is usually divided into two main parts, the northern part of Waxholm as the central place in the south and Norrtälje in the north, and the southern part with Dalarö as the central place in the north and Nynäshamn in the south. The archipelago between Vaxholm and Dalarö and the east is usually called the middle archipelago. All parts of the archipelago can be reached by taxi. 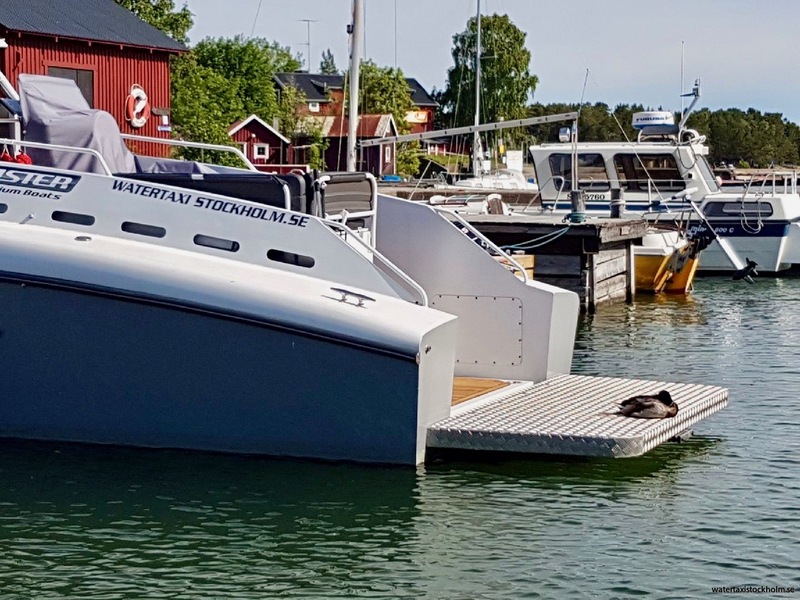 The Stockholm archipelago has been found between Björkö-Arholma and Öja-Landsort to have more than 24,000 islands, islets and cuts and covers approximately 1,700 km² of which about 530 km² are land. There are about 10,000 residents and 50,000 holiday homes in the archipelago. Residential populations are located on all major islands closest to the coast, which have fixed ferry or ferry connections by road ferry such as Vaxholm, Ingarö, Värmdö, Yxlan, Blidö, Ljusterö and Väddö, but also on many of the larger islands further out of the coast such as Ingmarsö, Möja , Runmarö, Nämdö, Ornö and Utö, which are operated by taxi boats and passenger ships with established tour lists. About 15 percent of the land area in the Stockholm archipelago is owned or managed by the Archipelago Foundation. Other land is owned by the majority of private property owners, to a certain extent by various companies operating in the tourism industry, as well as the inland waterways belonging to the properties, where only the owner of the property is entitled to fish fishing.